Library tours run on Tuesdays and Fridays at 12 noon starting week beginning 4 February. Just come to the Library Desk. 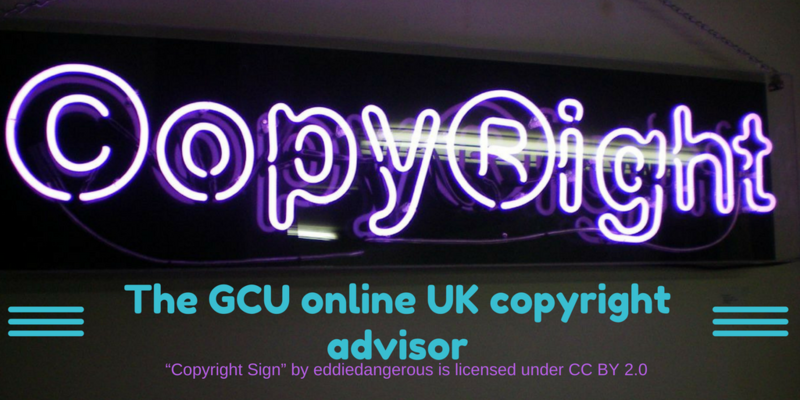 Fighting the fear of copyright with the GCU Online UK Copyright Advisor. Hi, I’m Marion Kelt and I’m the Copyright Advisor at GCU. Over the last year I’ve noticed a rise in the number and types of copyright enquiry. In one way, I’m glad to see this as most of us have a general fear of copyright and licensing issues. They are the elephant in the room, we all know it is there, but nobody wants to admit it exists! Through the library’s subscription with the publisher Springer, GCU authors can benefit from the Springer Compact open access agreement. This allows staff and research students at GCU to publish articles open access in over 2000 journals, at no cost. GCU authors can gain from publishing open access in a number of ways. These include increased visibility of your research worldwide, compliance with funder and REF open access policies, and enhanced impact and public engagement of your work. The list of eligible journal titles can be found here. Once an article is accepted for publication in a journal from this list, the publisher will contact the corresponding author to confirm the institutional affiliation. The Springer Compact agreement is available to staff until December 2018.
edShare@GCU, the University’s educational resources repository, has now been updated to include an embeddable HTML5 player for all video and audio content. An example record can be accessed via this link: https://edshare.gcu.ac.uk/873/. edShare@GCU is the University’s new educational resources repository. It allows staff to store, share and preserve a wide variety of learning and teaching materials in one central location. Staff can upload and manage their own resources and have the option to share them openly on the internet, with all members of the University, or with a select group of students or staff. The repository accepts any permanent resources created by GCU staff and provides a point of contact for copyright and intellectual property rights (IPR) advice within the GCU community. The repository can be accessed at https://edshare.gcu.ac.uk. You can log in with your domain username and password. Why has this new repository been built? Pilot is the library’s online information literacy, research and communication skills resource which supports postgraduate researchers. Pilot is on the Subject Help menu on the library web site. It has been updated to run on mobile devices and has a new easier to use menu structure. 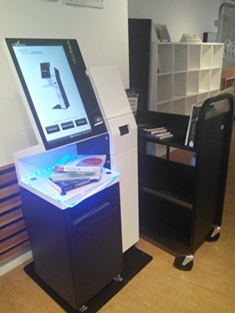 If you are a researcher and you have questions or feedback on Pilot, you can contact us on ddil@gcu.ac.uk and if you would like to arrange further support for your research please contact your librarian.